 Rabbit anti Human Interleukin-22 antibody specifically recognizes human interleukin-22 (IL-22), a regulatory cytokine and member of the IL-10 family, secreted by activated T cells, which signals through a class II cytokine receptor system consisting of IL-22R and IL-10R-beta/CRF2-4. IL-22 has been shown to act as an inhibitor of the production of IL-4 by Th2 cells, up-regulate the production of acute phase reactants in the pancreas and liver, and to be up-regulated in intestinal inflammation associated with Crohn’s disease. Antiserum to human IL-22 were raised by repeated immunisation of rabbits with highly purified antigen. Purified IgG was prepared from whole serum by affinity chromatography. 6 months from date of reconstitution. This purified human IL-22 antibody may be used in an indirect ELISA with recombinant human IL-22 (PHP209) as the standard.